GyanOne interviewed Schulich School of business Associate Director, Imran Kanga, to get his perspectives on the India MBA program structure and opportunities available for professionals looking at the India MBA program as an alternative to its Canadian counterpart. GyanOne: How would you compare the Schulich MBA in Canada and the one in India in terms of program costs and courses of study available? Imran: From an Academic perspective, both programs are the same because Year 1 of the program, whether done in Canada or in India only covers core courses, and is taught by Schulich faculty at both campuses, so it is exactly the same. From a cost perspective, students that opt to start in India are given a $10,000 renewable Scholarship ($10,000 in Year 1 and $10,000 in Year 2), so they can save up to $20,000 in tuition fees, and would save an additional $10,000 – $15,000 in living expenses. GyanOne: Are all electives offered to Toronto students also available to Schulich in India students in Year 2? GyanOne: What are some of the top reasons that students choose the Schulich in India program instead of the Toronto program? GyanOne: Many applicants see the Schulich MBA in India as an offshoot of the ‘main’ Schulich MBA, and feel that student participation as part of the India program will be curtailed because one cannot truly be a part of the clubs on the Toronto campus. Imran: Students in India form their own clubs and plan their own activities. There is a lot of interaction and knowledge sharing that happens between Toronto and India throughout the program, so students in India definitely feel like they are a part of the Schulich community. GyanOne: How far do similar students clubs in India compensate and how true is this notion? 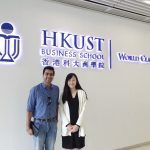 GyanOne: How do career opportunities for students play out for Schulich MBA in India students? Imran: Over the past 3 years, I have seen that students from the India campus get the same job opportunities as students in Toronto. In some cases the India students outperform their Toronto counterparts. 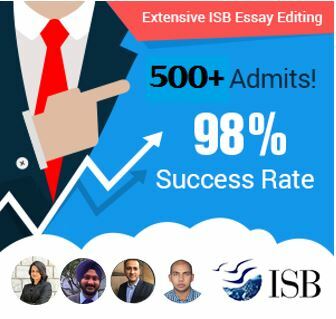 On the whole, the recruitment statistics for the India class are the same as the class in Toronto. 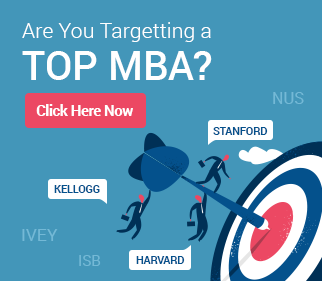 GyanOne: What are the average GMAT scores and undergraduate grades required for a competitive application to the Schulich MBA in India program? GyanOne: In terms of ranking, the prestige and position of the Schulich Toronto MBA program is well established. Has the Schulich India program also been enlisted in rankings separately, either in India or abroad? Is this set to change in the future? Imran: Students are given the same degree. They are taught by the same faculty. With the exception of the location of Year 1, everything is the same. Hence the program is ranked as the same. GyanOne: What is the current class profile of the Schulich in India program like? Imran: The current class is very diverse. We have doctors, engineers, marketers, financers and entrepreneurs in the class with a wide range of work, education and life experience. The two programs are structured differently, as Imran notes. The Schulich India MBA will allow you to spend your first year in the India campus and then move to Canada for the second year, which also includes the specializations (electives) phase. The Schulich Canada MBA, on the other hand, is structured such that both years are in Canada. If you want to experience the Schulich education from an India-centric perspective too, then go for the Schulich India MBA else go for the Canadian one.